Miriam Akhtar MAPP is a leading practitioner of positive psychology. She is one of 100 global experts invited to contribute to The World Book of Happiness and The World Book of Hope. Successful athletes know they have to focus on winning, not on losing. So why do people who want to increase their happiness, often focus on their unhappiness? 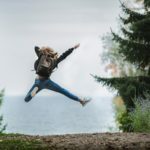 This is a guest blog post by Miriam Akhtar, a positive psychologist who specialises in creating training programmes to develop the happiness muscles. She is the author of a book on positive psychology for depression. This post forms part of a special International Day of Happiness series we are running this week, themed on happiness habits. My main insight from my practice as a positive psychology coach, is that when it comes to growing your wellbeing it really is a case of ‘what you focus on is what you get’. Happiness is like a muscle that can be developed and when you put your focus on it, it grows. There is an abundance of neuroscience that has confirmed this since the 1st edition of the World Book of Happiness was published. The brain develops as a result of experience and practice. Neurons that fire together, wire together. Practices that have been scientifically proven to increase happiness include savouring positive experiences, expressing gratitude, applying your strengths, nurturing relationships and learning optimism. What is more, these practices not only help to raise your wellbeing, they can also help you recover your wellbeing. With depression expected to become the leading cause of the global burden of disease during this century, these evidence-based practices are natural anti-depressants that can help people feel better and function well. Positive psychology practices act a bit like physio for the mind. “Happiness is not a spectator sport” is the phrase coined by one of the founding positive psychologists, Chris Peterson. If you want to raise your level of happiness, you can’t just read about it or study it. You need to go beyond intellectual curiosity, to leave the spectator stand and get onto the pitch. It is the practice that develops the neural pathways and makes a habit of happiness. This is as true in modern science as it is in ancient spirituality. 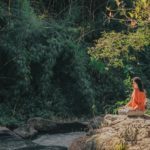 Buddhist monks, who practise daily mindfulness meditation, have shown to have more activation in the left prefrontal cortex of the brain, which governs positive emotions. So the more you practise mindfulness, the more you cultivate your capacity for positive emotions, like joy, calm and serenity. “Happiness is not something ready-made, it comes from your own actions”, says the Dalai Lama, highlighting the importance of practice. He is the patron for Action for Happiness, the worldwide movement for positive social change. You can train the mind for happiness, but happiness isn’t all in the mind. Happiness training is holistic – it is also for the body and spirit. The food you eat has an effect on your mood as does physical activity. If you’re depressed and don’t have much motivation, try doing something physical instead. The release of endorphins will produce an instant mood lift without having to do any mental gymnastics. ‘Green exercise’ is a physical activity in a natural environment. It only takes a few minutes of, for example, walking in the park, for it to start producing positive emotions. Spirituality is also important. This is not only about having a belief or spiritual practice. Having a sense of meaning and purpose in life and a connection to something bigger that goes beyond the self is a form of eudaimonic wellbeing, a deeper happiness. Unlike hedonic wellbeing, the other type of authentic happiness that consists of positive emotions and life satisfaction, there isn’t a built-in limitation. You never get so used to this form of happiness that it stops working for you. Eudaimonic wellbeing is a route to a sustainable happiness. I often find with coaching clients that they are very focused on what’s making them unhappy. 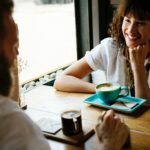 Unlike a lot of therapy where time is spent exploring the source of their unhappiness, a positive psychology coaching session will describe and prescribe practices that will help a client create psychological wellbeing. Happiness is like a muscle that can be developed and when you put your focus on it, it grows. Happiness is a holistic pursuit, not just for the mind but for the body and spirit too. Positive psychology’s scientifically-grounded practices not only work to raise wellbeing, they can also help you recover your wellbeing. Miriam Akhtar MSc is a positive psychologist, coach, trainer, speaker and author who lives in Bristol (United Kingdom). Her speciality is in positive psychology interventions. She was one of the first in Europe to qualify on the Masters in Applied Positive Psychology (MAPP). 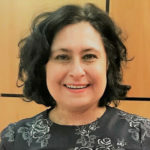 She is now a visiting lecturer on MAPP programmes in the UK and on the Executive MAPP at the University of Lisbon in Portugal. Positive Psychology Masterclass: Foundations 10-11 March 2016, Advanced, 21-22 April 2016, Bristol. Positive Ageing & Resilience Training (PART): Take part in PART from April 28th 2016 in Bristol. Positive Psychology Foundations: Online training from 4th May 2016.